We'd like to get to know you and your friends. Meet our team and learn more about Vintage Church. 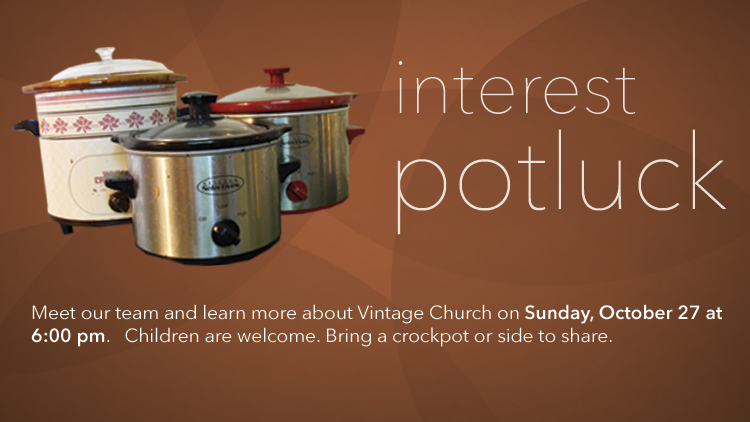 Bring a crockpot dish or side to share. Children are welcome. The dinner will be located at 2106 Gina Drive, Harker Heights, TX 76548. No rsvp necessary. For more information email info@vintagechurch.cc, call/text 254-415-9491 or visit www.vintagechurch.cc today!